AN ITALIAN ACCUSED of attacking Irish Liverpool supporter Sean Cox has “made friends” with fellow fans while in prison. Filippo Lombardi, 21, has been in custody since April, charged with inflicting grievous bodily harm on the 53-year-old Irishman at last season’s Champions League semi-final. Lombardi took the stand at Preston Crown Court today to give evidence in his defence, and explained how he had struck up friendships with fellow inmates in jail. He said his current cellmate is a Liverpool fan, and “is my friend” and added how he had spent the past five months improving his English. Lombardi was part of a group of 50 Roma fans who attended the Champions League clash and who walked from Lime Street Station to Anfield on the evening of the match. He admitted wrapping his buckled belt around his hand “to protect himself” from “Reds” supporters who were starting to “get more aggressive” after Cox had been punched and collapsed to the floor. The Roma fan also told the court that he never saw another man described as N40, who was recently arrested in Rome and is set to be extradited to the UK, who it is alleged struck the critical blow to Cox’s face. And he told the jury: “I didn’t realise what had happened, as I didn’t see, I was thinking about this man on the ground and one second later, then a man with the white scarf [a Liverpool fan] came toward me, more aggressive than before. He continued to tell me something, and I had an argument with him. I didn’t realise what he was doing, but now I understand what he said to me: ‘Leave your belt and fight with me’. 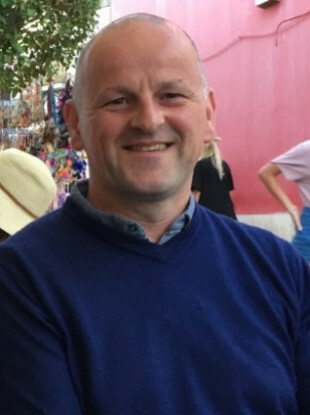 Lombardi, of Viale Antonio Ciamarra, Rome, has pleaded guilty to violent disorder but denies inflicting grievous bodily harm on Sean Cox, who suffered serious head injuries which left him unable to sit up straight by himself. Cox’s wife Martina, and their children, were not in court today to hear Lombardi’s evidence. Neville Biddle, prosecuting, asked him why he wrapped his belt around his hand. Biddle said: “So instead of stopping and asking someone you decided to take your belt off and wrap it round your hand….? There were plenty of people with hi-vis jackets on [who you could have asked]. It was completely unnecessary to take your belt off. Email “Man accused of attacking Sean Cox tells court he 'made friends' with Liverpool fans in prison”. Feedback on “Man accused of attacking Sean Cox tells court he 'made friends' with Liverpool fans in prison”.